Because there's no such thing as too many little boxes, especially when the're topped with miniature flowers. 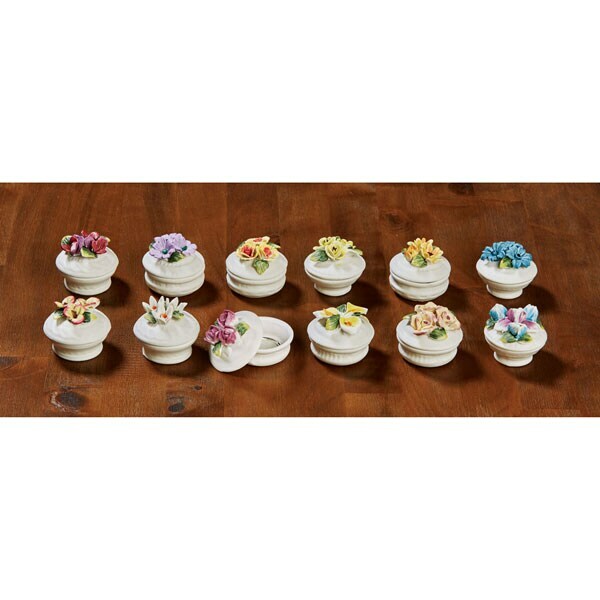 Porcelain bisque boxes have a soft matte ivory finish; the hand-formed leaves and flowers are pops of color. No two are alike. Keep them all for yourself or give them away one at a time.